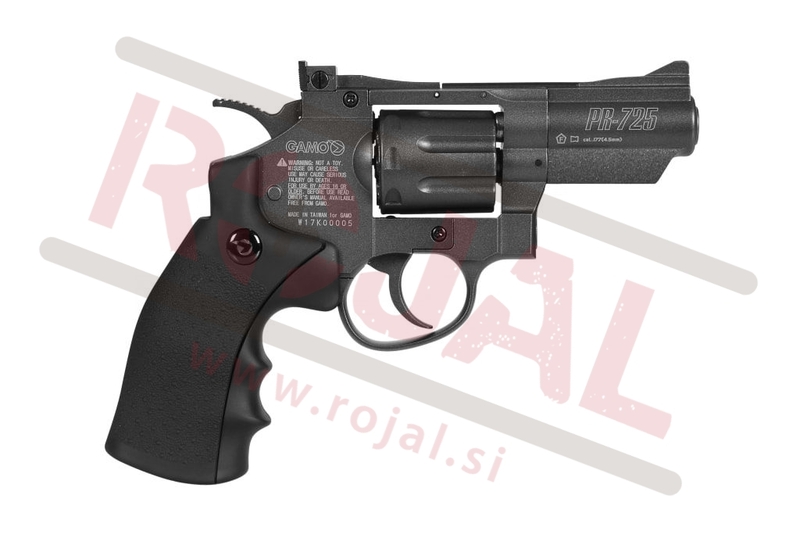 The PR-725 revolver is an extremely realistic full-metal airgun based on Gamo’s PR-776 model, which has already conquered the gun rooms of thousands of airgun lovers around the world. Powered by a 12gr CO2 cartridge, its 2.5’’ fluted steel barrel makes it a really ergonomic, light and agile gun, outshining its 7.6’’ version (PR-776) performance in terms of maneuverability and short-distance shooting quickness. 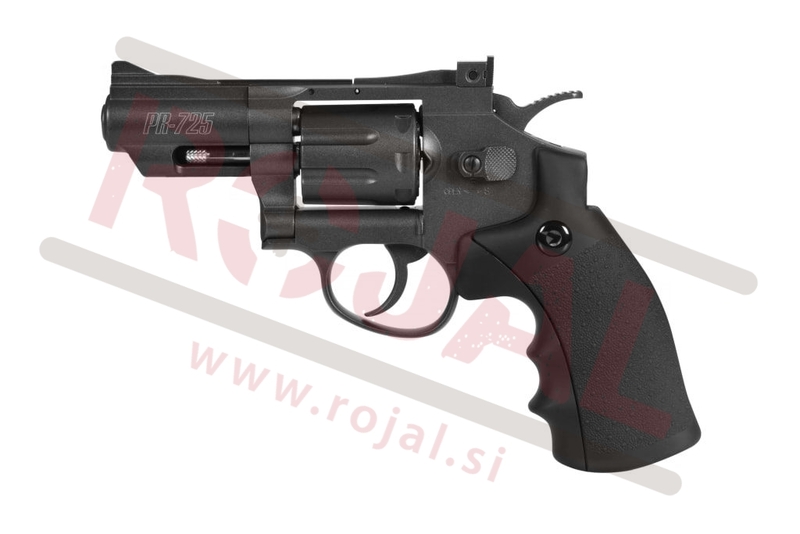 This exceptional revolver features a sliding texturized polymer grip, which guarantees an extremely fast and easy C02 cartridge replacement.